The White Princess peach was developed in the 1990s to create a tree that is “medium sized, vigorous, hardy and productive,” according to FreePatentsOnline.com. This peach has firm white flesh and is a freestone variety. 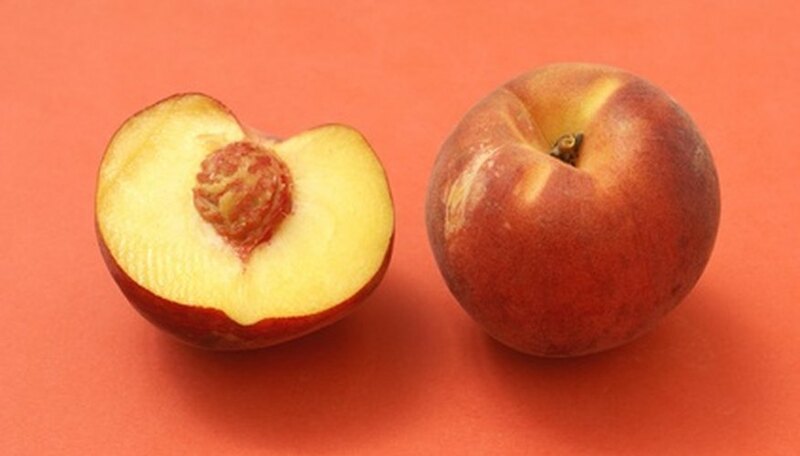 The weather in Kansas is conducive to growing stone fruits such as peaches because they require a certain number of hours of cold in order to produce fruit the following summer. The soil in Kansas is generally good for growing a number of different types of fruit trees. Plant your seedling in spring, after the threat of frost has passed. It’s wise to test your soil before you decide on a spot to plant your tree: the White Princess peach needs a neutral pH between 5.5 and 7.0. If you need to lower your soil’s pH, add 4 oz. organic sulfur into each square yard of soil; if you need to raise your soil’s pH, add 12 oz. of hydrated lime into the planting area for every square yard of soil. Mix these amendments into the soil to a depth of about 12 inches. Dig a planting hole that is twice the size of the tree’s root system, removing the soil to a wheelbarrow. Then combine it with about one-quarter its volume of any type of organic compost, which will give your tree nutrients and will also improve the soil’s drainage. Refill the planting hole about half full with the combined soil and compost. Unpot your tree and then set it into the hole, making sure the top of the roots will be covered when you fill the hole. Fill the hole and then tamp the soil with your foot gently to settle it. Water your new White Princess peach by running a hose or a sprinkler slowly at the base of its trunk. After planting, water it in the same way every week to 10 days, allowing the soil to dry slightly between waterings. Fertilize your tree about 10 days after you plant it, according to Ohio State University. Use a plant food with a balanced ratio of nitrogen, phosphorus and potassium, such as 10-10-10. Follow instructions on the label of your fertilizer. If you use a granular fertilizer, sprinkle it in a circle about 8 inches from the trunk. Repeat this application about six weeks later. When your tree gets older, Ohio State University recommends giving it 1 or 2 lbs of the same fertilizer in March and again in May.